Stewart Friesen is hot off a 4th place finish in the last NCWTS race of the series in Homestead -Miami and and a big $40,000 victory in the Eastern States 200 at Orange County Fair Speedway in New York. Friesen, the five-time winner of the prestigious Super DIRT Week Big-Block Modified race is a certified dirt racing phenom, who just had his first full season racing on asphalt with the NCWTS, resulting in a playoffs run. Also new to Friesen in 2018 was a few runs on asphalt in a Super Late Model, with which he placed 2nd in the US Short Track Nationals at Bristol. Friesen’s Super Late Model pays homage to the great Gary Balough, a friend and mentor of Friesen’s. Balough was known for what Friesen now attempts, a successful career racing on dirt and asphalt. Balough’s famous gold and red on black color scheme, no.112 debuted at Super DIRT Week in 1980 as a modified that would shake up the sport of dirt racing. Affectionately nicknamed “The Batmobile” this car’s number and paint scheme would be reused by Balough throughout his career racing on dirt and asphalt in Super Late Models. Now, with the sagely guidance of Balough, Stewart Friesen pilots the black no. 112 Halmar Super Late Model. 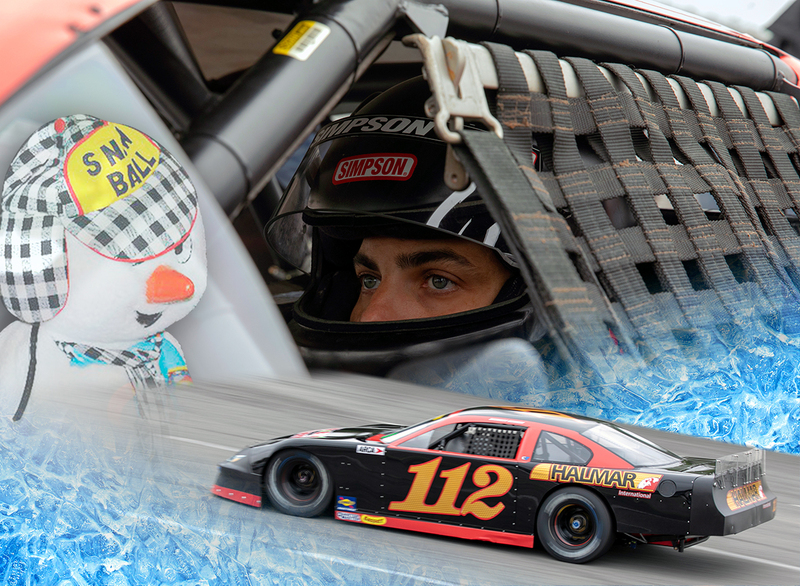 The Snowball Derby will mark Friesen’s third time behind the wheel of the 112. In his first two SLM attempts, Friesen managed 2nd place finishes. With more NCWTS races under his belt since, Friesen heads to 5 Flags Speedway with some serious street cred for asphalt racing. Though Gary Balough will not be present due to recent health issues, Friesen and his team are ready to park it in victory lane in his honor. 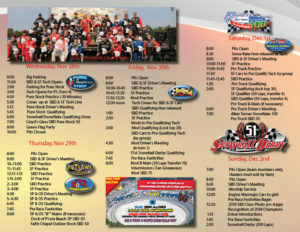 The 51st Annual Snowball Derby starts Wednesday November 28 and goes through December 2nd at 5 Flags Speedway in Pensacola FL.